These tips come from our @LDBytes session at #localgovcamp June 2014 co facilitated by @gr8governance who also helped with the editing - cheers Carl. It's part of our Rewiring Local Democracy work. It was a brilliant day and we were fortunate to have a great mix of excellent contributors; councillors and officers; in the room and via twitter. This list is a just a starting point – please feel free to add and correct. Our question for the session was ‘What advice would you give to new councillors who want to use digital?’ This was not particularly about councillors who had never used twitter before (although it works for them as well) but for those who perhaps already know social media but want to find out how to use it in their new role. 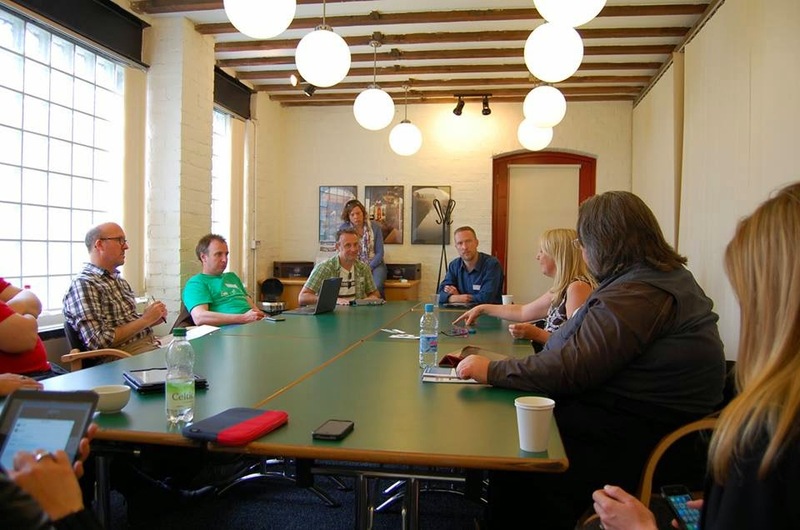 The consensus was that digital does make better councillors but you have to know why you are using it; that it’s not just about broadcasting messages – you need to engage and respond. We also thought that digital should be part of every councillor induction but, just in case it isn't where you are; here are some tips to get you started. 2. Change your local rules. Ask the people who run your council why things can’t be different, hang on a minute, you run the council don’t you? Not sure what you are asking for? Here is a handy checklist to get you started. 3. Check out what support is available. Again, there can be big differences between councils, and between different councillor roles (Cabinet and scrutiny for example) but see what is available. Make sure that officers are producing the kind of content that you will want to share through social media. 4. Listen before you speak. Social media is a listening tool first and foremost. Also it is important to get to know the terrain before you contribute. We also heard some very good advice about pausing before you respond – you are publishing in public after all. 5. Don’t annoy people by campaigning. Even at election time. People want to hear about what you are doing to improve the area but will get turned off by constant recycling of ‘party lines' on social media. 7. Use twitter. As an organising tool – you can link to campaigns using hashtags and even start campaigns. As an accountability tool – let people know what you are doing and maybe even, how you are voting. As a way to link to useful people in your area. Often councillors are given lists of other councillors to follow but what about the local CVS, partners, private providers, the hyperlocal websites, the movers and shakers etc etc. We think every councillor should be provided with a ‘who to follow list’. 8. Find the councillors who are already using digital and speak to them. Councillors learn best when they are hearing it from other councillors so find out who does it well in your area or the next area or wherever. We think Council’s should involve social media savvy councillors in delivering their induction training. It has worked in Kirklees – check out cllrsocmed to see what we are talking about. 9. Make sure you know what to do during an emergency. We heard examples of how councillors both helped and hindered by using social media during emergencies such as floods. Make sure you have the right advice before giving it to others. Update: Ben Proctor said he would write something on this. And he has. And it's a must read. Read it here. 10. Don’t forget the non- digital folk. You need to use the right channels to reach the right people but actually you, as a councillor, are brilliantly placed to do this. We heard about how church halls can be used alongside facebook pages to reach out wider. You are in the perfect position to connect everyone together. 11. Promote digital democracy. As a digital councillor you should be a champion for the ways in which digital can get people involved. We talked about online registration as one very good example – but we all need to be on a mission to get people involved and voting. Always. We've been working hard on voXup.co.uk: integrates nicely with social media, but also meets the needs of councillors and residents who want to engage on local topics. Most importantly, it scales really nicely with your time as more residents get engaged -- it's the same work whether 10 people engage with a local topic or 100. Many of the points in this article are addressed in voXup (relevance vs broadcast, listen before you speak, automatic twitter integration (e.g. twitter.com/voXupCamden) in particular). It's been working really well in Camden so far (check out voXup.co.uk/00AGGG for example). We'd really like some more councillors to join those already using voXup. Say hello@voXup.co.uk! Thanks. It does look v. interesting. Hopefully councillors will check it out as you suggest. Would be interested to hear from any that do. As a follow-on from points 7 and 11 how about Twitter surgeries for councillors? Much like in-person surgeries, councillors make themselves available for an hour once a month to answer questions online. The traditional way of doing surgeries is a little dated and inconvenient for many nowadays, and it sounds as if Twitter surgeries or even the opportunity to Skype a councillor while at their surgery have been really successful for those that are trying it!